Cam locks are a common and easy-to fit form of lock for smaller swinging doors as found in lockers, ducts, cupboards and are also used in drawers. 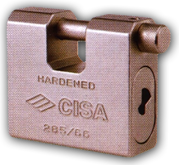 This leaflet offers information on various cam locks and other locks in the same broad category. A small 12 volt pin lock for fitting inside cabinets, cupboards, duct doors etc. Also suitable for upward opening lids/doors. A range of digital cabinet, drawer and locker locks with face-mounted rectangular keypad. 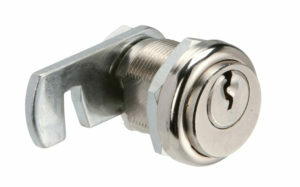 Locks that can be ordered with this keypad operation include a range of cam locks, cupboard latch locks and deadlocks. Powered by on-board replaceable battery. Vertical digital locks powered by 2 x AAA alkaline batteries. No wiring – no hassles. Easy to fit. Speak to the LOXPERTS – we have over 125 years experience between four of us. Tell us what you need – if we don’t have it – we usually know who does!